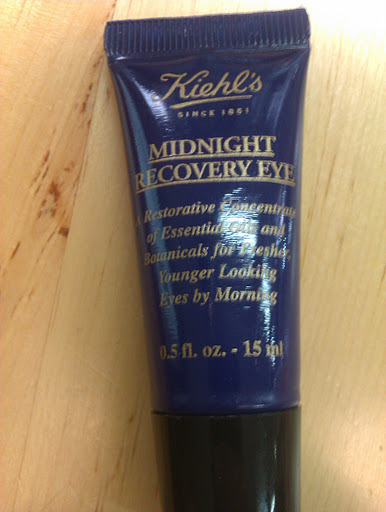 Kiehl’s Midnight Recovery Eye: Our New Bed Time BFF! Yesterday I was at Kiehl’s beauty event! In a friendly place with sweet people all around and the excitement of the day in my veins. They talked us about the brand’s history, philanthropy and of course the Star products. Suddenly the day became THAT much more exciting: a new product will complete the Midnight Recovery line. Wow! I get so excited when I hear for the new ‘babies’ of a brand! Following the successful introduction of Midnight Recovery Concentrate, the 99.8% naturally derived botanical elixir, Kiehl’s created its companion, the little baby of the brand: Midnight Recovery Eye help us to achieve a fresher and younger looking eyes by morning. How? This little miracle diminishes puffiness, fine lines and wrinkles. Buthcer’s Broom (Ruscus aculeatus), the true Star of the formula, which improves microcirculation and reduces inflammation to soothe skin and reduce puffiness. All these ingredients will work while you are sleeping. And even if you don’t get enough sleep, you’ll look like you did. The cream is free of parabens, silicones, mineral oil and fragrance. When the Kiehl’s people showed us the blue tube of the new Midnight Recovery Eye cream, I didn’t miss a moment. I seize the opportunity and tried it in my hand. Such a pleasure! Love at first application! Midnight Recovery Eye activates all the senses. The smell is relaxing thanks to the lavender essential oils. The texture is creamy and feels great to the touch, ideal for the delicate under-eye area. You don’t have to use a huge amount of product; just two drops are enough. The product is ideal for anyone who wants to look more awake in the morning. 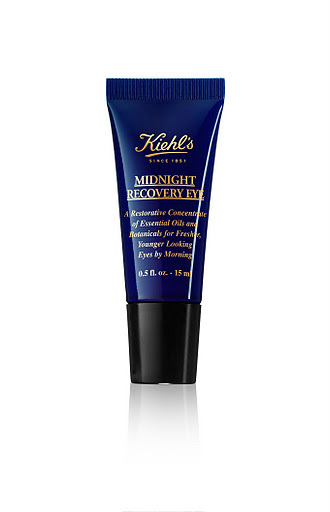 The Midnight Recovery Eye is not yet available (just wait for a few more days) but if you can’t wait to try it, you can purchase it on line at Kiehls.com. It costs €29.89 and comes in a 15mL tube. In Greece, you can find Kiehl’s at Hondos Center Kolonaki, Hondos Center Glyfada and Attica, the Department Store, on Panepistimiou St.
Will you purchase this new product? Are curious to try this baby? Stay tuned for the second new ”baby” that they talked us about! « SIGMAX COLLECTION: 4 New Brushes to Fall in Love With! Yes I'm very curious about this creme!!! To bad that we cannot find Kielhs in Thessaloniki!!! I love the title! It's a little pricey but I believe it's totally worth it!